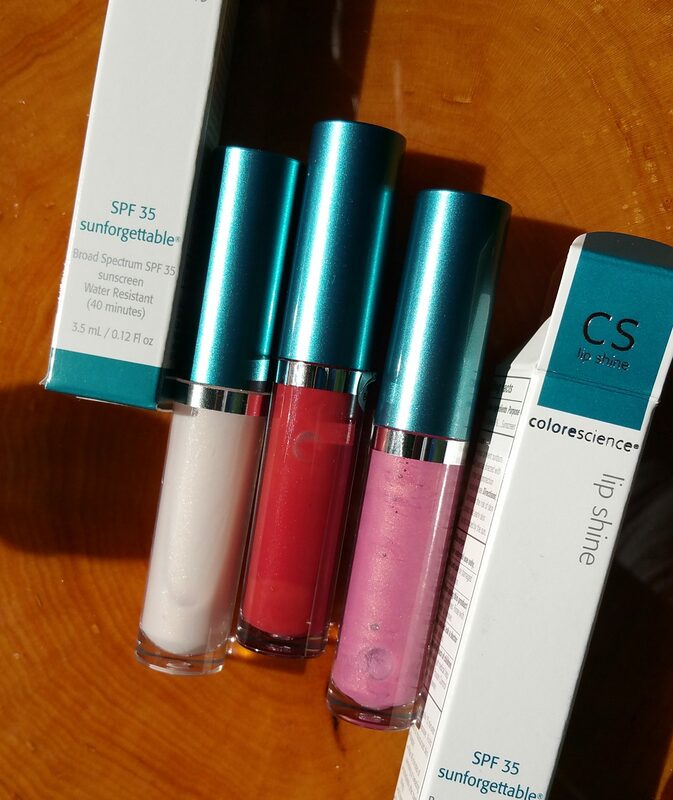 In case you were wondering, I did receive the two colors of Colorescience Sunforgettable Lip Shine SPF 35 ($29 for .12 oz – available at Colorescience.com) that referred to having ordered in this post. And well, I’m not surprised, that I love both of these colors. “Pink” is a medium bright pink that leans the tiniest bit to the cool side (which I love). It contains the same moderate opalescence as “Clear,” and also has the same spearmint smell. 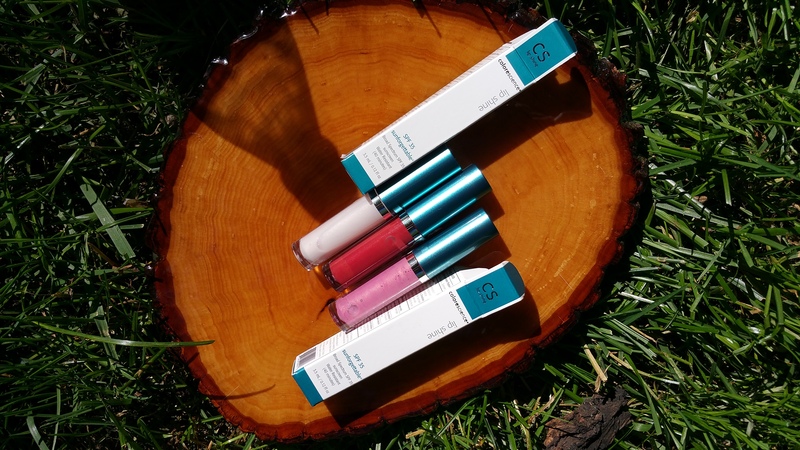 And of course, it also provides SPF 35 for your lips. 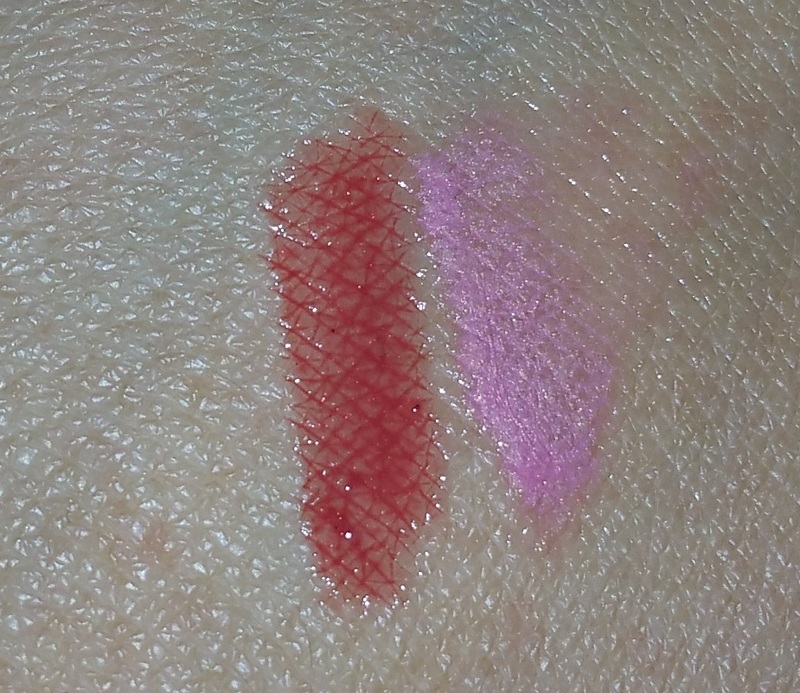 Colorescience did a really good job with “Pink” (and Siren), managing to pack in enough pigment so that if you apply two coats you get serious color impact. 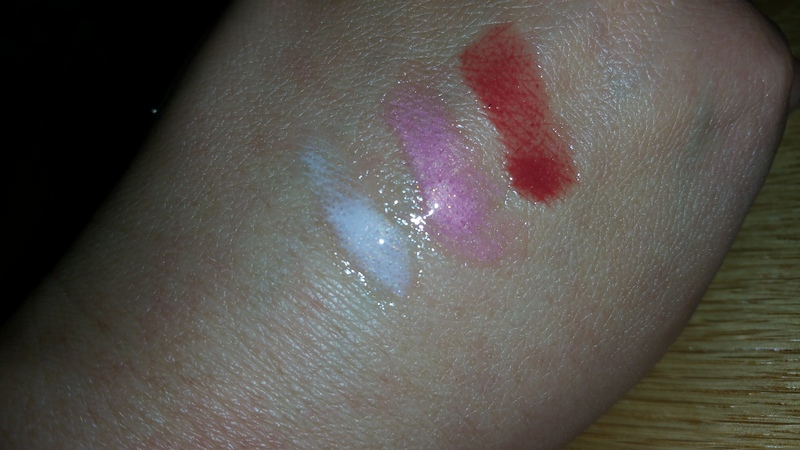 But a thin swipe on your lips gives a subdued pink tint and shine. I really love how this gloss looks on me. 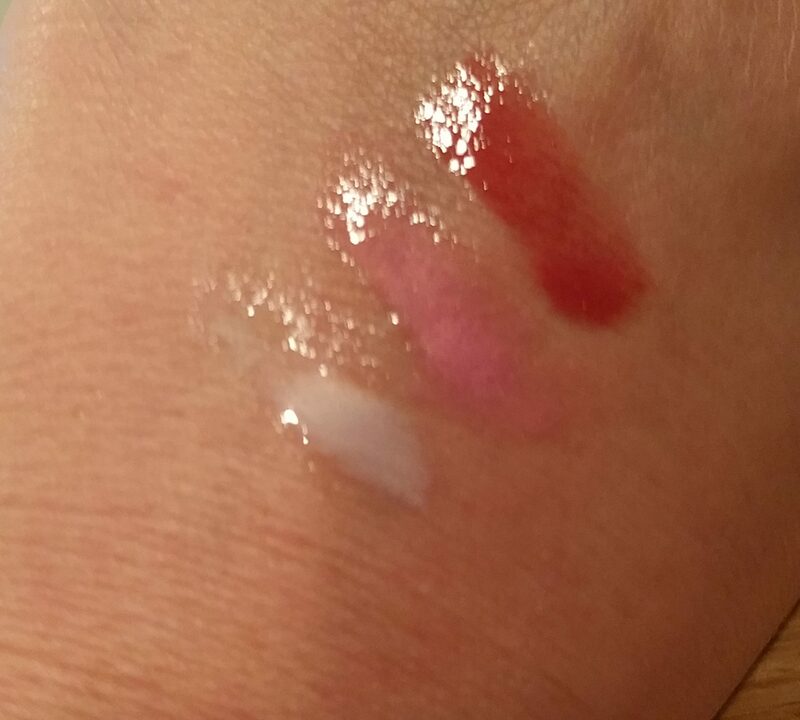 As for “Siren,” I was kind of shocked at the impact from even one swipe of it on my lips. 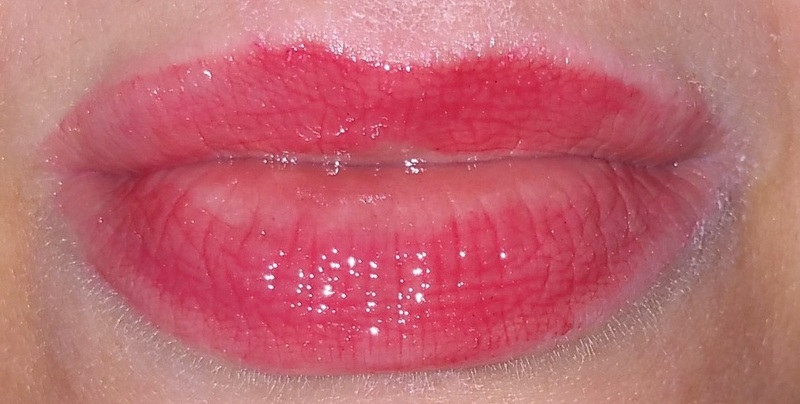 You can get a good sense of it based on the flash photos of my lips, where my inner lip isn’t pigmented with the gloss (an annoying little thing about my lips…) But the lay-down of red tint is a good thing, everybody! This means if you want a subtle look you can apply Clear and dab on a bit of Siren. You end up with control over the sheerness of the red you’re getting. I do want to note that Siren bleeds somewhat into the lines on and around my mouth. 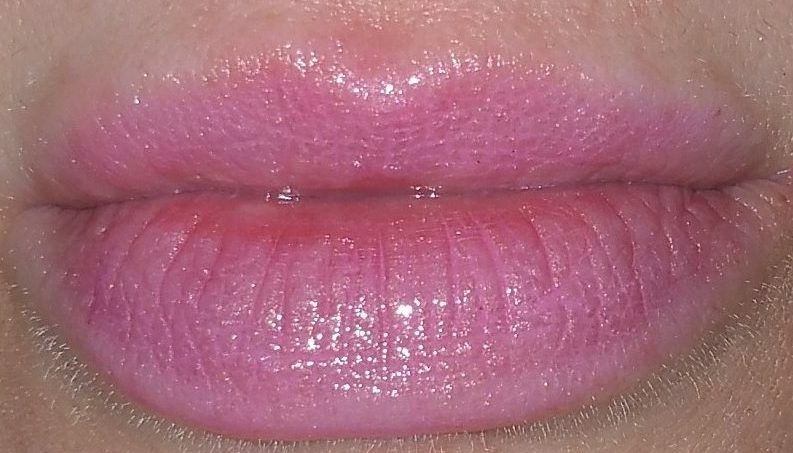 I am personally not concerned about it, but wanted to point it out to anyone who has issues with lip lines. 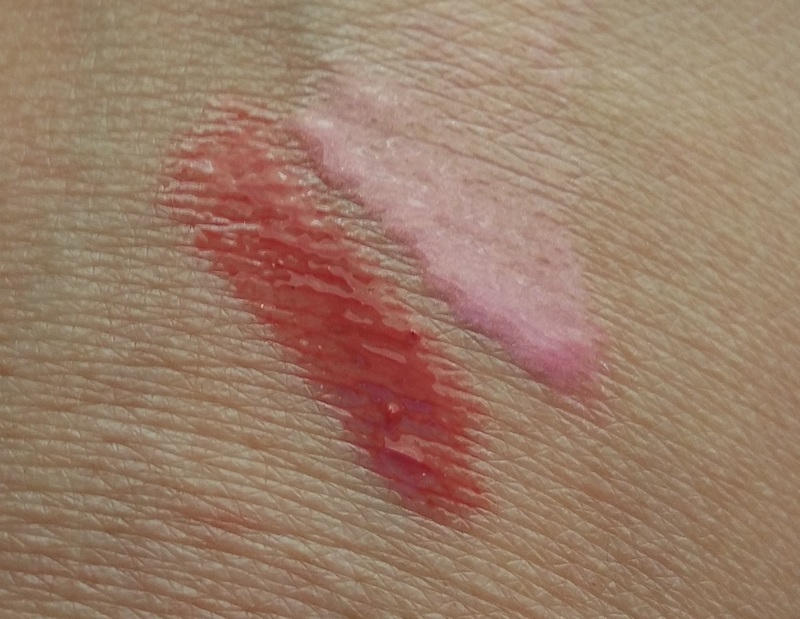 Siren is a “true red” in my book, although it seems to come across as a warm red when I swatch it on my hand. I’m uncertain about how to classify it, but I do know that I like the color for myself. Siren is lovely with my coloring. I chose well in selecting Pink and Siren. 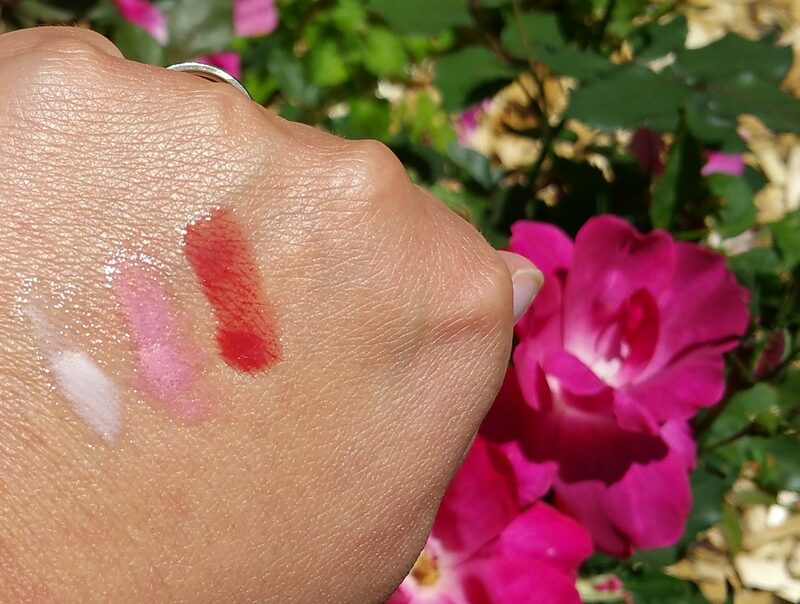 But I am still eyeing the color “Rose,” which was one of the contenders for purchase but lost to Pink. Does anyone out there have Rose? I’d like to know how deep of a pink it is, and whether it’s neutral, cool, or warm. But no biggie, because I imagine I’ll buy it in the not too distant future. I’m on the fence about whether I want to get “Champagne.” I think it’s one of the original color choices and seems to be popular, based on how many stores sell it on the internet. I can’t get a great sense of the color, but it seems to be a warm, light peachy, opalescent color. I don’t know if I need it. I’m also curious about “Coral,” but not so much about “Merlot,” which seems to be a brownish maroon color that I don’t see myself wearing. 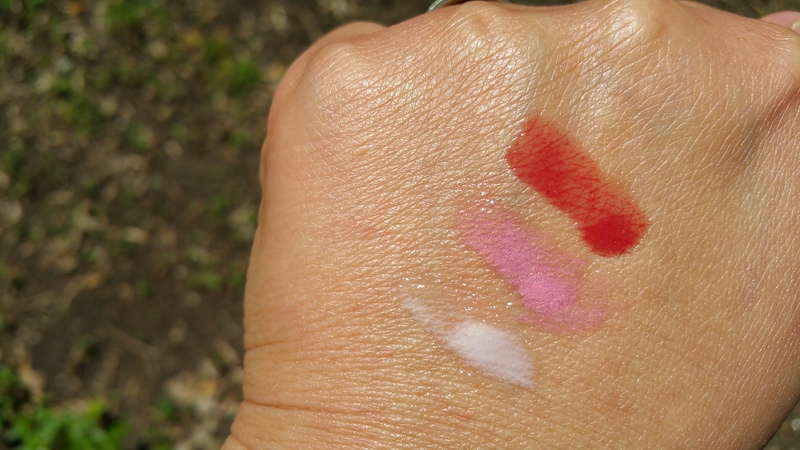 Before I wrap it up and show you swatches galore, let me say one thing: Colorescience really managed to make “real” makeup that I want to use, while keeping to “my natural” standards, and providing skin benefits. It’s exciting to have a new brand to go to now! Take care everyone out there!